Which Fortnite location has the most Chests in Season 8? Season 8 released about two weeks ago and brought massive changes to the map with it. Each map changing patch mixes up the amount of chests that can spawn per location and there’s a map to you find them all. A Fortnite community member on Reddit, user “cripplingmemes_”, has created a Season 8 chest count map. The map shows the maximum number of chests per location (including unnamed locations). Each location contains a max number of chests and with the use of this map, you can plan your hot drops all the better. The map has been updated recently to allow colorblind individuals to easily read the map as well. However, the Volcano is still quite difficult to make out. For ease of access, the Volcano location reads “13” possible chest spawns. To ensure that everyone can get the most relevant data from the map, we’ve listed the named location chest counts below. This is just in case any other numbers are hard to read for any viewers. Unnamed locations are not listed, but can be found on the map above. The Block is not included within the map’s value as the location has a changing tile-set. The current Block location name is Botimus Prime’s Block. 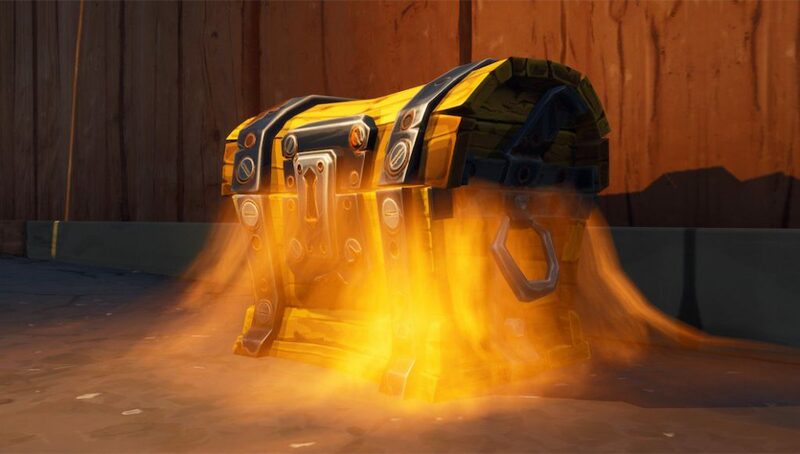 Chests contain most of the items in Fortnite ‘unvaulted’ item loot tables. The little wooden boxes glow gold with a distinct sound emitting from them whenever the player gets close. With this map, we hope you can find your way to most loot every match and get some Victory Royales along the way. Remember that even some locations without names contain some serious loot, so be sure to experiment with your Season 8 landings.